In the weekend from Friday the 8th of may till Sunday the 10th of may Noterik will be participating in Hacking Culture Bootcamp at the Waag Society. 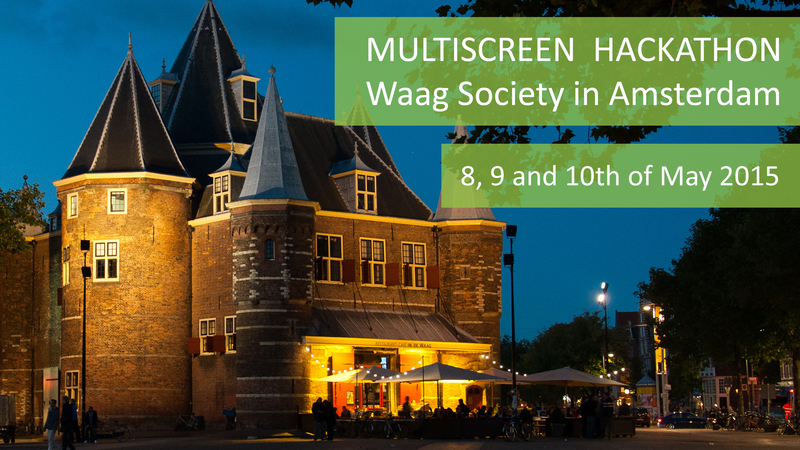 During Hacking Culture Bootcamp (from Europeana Space), about forty participants will dedicate three days at Waag Society to experiment with cross-media (or, transmedia), interactive concepts that may be suitable for applications in broadcasting and the heritage sector. Noterik is very proud to participate at this event mainly because our Multiscreen Toolkit will be used by various participants to turn their concepts into working demo version. Among things the Multiscreen Toolkit answers to the growing need to be able to work seamlessly with video across devices and screens. The Multiscreen Toolkit enables easy prototyping of concept and interface ideas in the early phases of design in order to find the best solutions. The source code of the Toolkit is published on Github, allowing external developers to use the product in their own way. During the Hacking Culture Bootcamp Noterik will offer a number of multiscreen games (YouTube preview) for all attendees to play at leisure. To play these games you will use your own mobile device and connect with the phones of other participants at the event. Not only does this give a quick glimpse of the vast possibilities of the toolkit but also to emphasize the social aspect of the bootcamp in keeping all the scores and stats available on a leaderboard. We are confident we will see the birth of some very surprising and useful apps. The event is also the ideal place to talk with experts and the public about media strategies and the potential of cross-media, interactive concepts for broadcasters and museum sector. Which new technologies are available, and how can we come up with useful applications for them in these areas? The Noterik team is looking very forward to the Hackathon and we are always available with our expertise or for a relaxed drink at the bar. Watch a video impression on the event here.